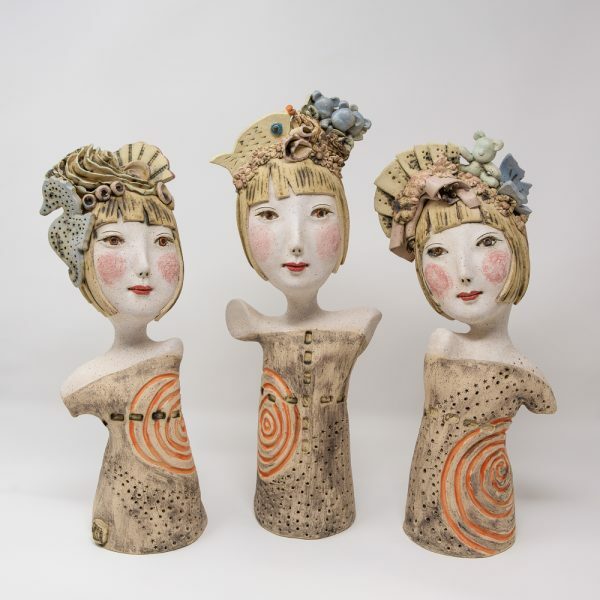 Jenny Chan is a Hong Kong born Warwick based ceramicist creating beautifully female form wall masks and sculptures. ‘DIVAS’ is an ongoing range of figurative sculptures and wall masks. Taking fashion, cultural, folklore, historic imagery as inspiration Jenny explores who we are as individuals. Hairstyle and fashion plays a vital role in enabling individuals to express their cultural and social identities, an instantaneous mode of direct, visual communication.